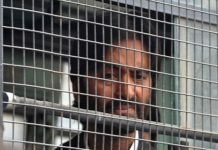 Srinagar’s Deputy Mayor Sheikh Mohammad Imran asked Kashmiris to add the prefix ”mujahid” to their names to send a strong message that the term is in no way related to terrorism and also to defeat those fighting elections stoking “communal hatred”. “The word ”mujahid” means one who is engaged in jihad (holy war) and a protector who strikes against evil and advocates truthfulness. Every Muslim should be a ”mujahid” and there is no harm in using this prefix. Jihad is a spiritual fight against the enemy. Our religion is being misinterpreted by some sections of media,” he said in a statement. According to him, the term ”mujahid” has been always used in a negative way by the media. 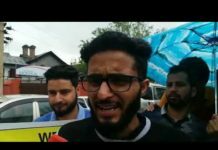 Imran said he has added ”Mujahid” to his name on Twitter, Facebook and other social media platforms and appealed to Kashmiris to follow him. “It will be a loud and the clear message to people fighting elections stoking communal hatred,” he said. 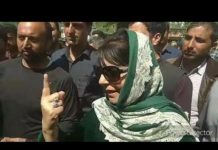 He also said every Kashmiri wants peace and resolution to the Kashmir issue but not at the cost of sacrifices of young people.